Relax To Reap Rewards – December was challenging for PPC professionals, as they tried to focus on holiday campaigns while setting goals for the next year. Relax and take one task at a time, knowing that 2011 will see social media, SEO and display departments hungry for a bite of your budget. 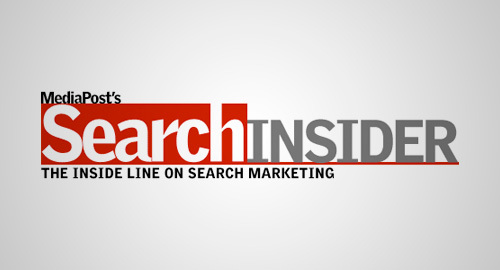 Make It Personal – With personalized search growing in popularity, be sure that your ads are fine-tuned and targeted. Learn about the latest in personalization and content, and incorporate data-mining technology to gain a real competitive edge. Watch The Bing/Yahoo Alliance – Take advantage of potential opportunities from the combined platform by being prepared to adjust your media mix at any moment. Keep an eye on click-through rates, structure your ad groups to improve quality scores, test creative and maximize conversion. Maximize Your Data – Discover new technologies that can help you measure, attribute and optimize performance media spend. Retargeting is a major growth area, especially when used with biddable display. Also, learn what service technology platforms offer you to enable you to understand the products, market and technology surrounding them. Keep Tabs On Facebook – Expect Facebook to be a challenge to search engines. With the increase of social and display advertising, social and display markets have the opportunity to grow right along with search. Be prepared to face changes. Look At Local – Local search will offer an interesting dynamic in 2011, so pay close attention to the growth of mobile, devices and usage. Balance Standalone And Integrated Social Media – Facebook has traditionally been used to give clients a broader social media strategy. Now, Facebook can be used as a branding and performance marketing vehicle. Make sure to balance your spend on social media branding and performance-led efforts. Buy Performance Media – Most display, Facebook and paid search ads are expected to be handled by the same agency teams in 2011. Take advantage of this opportunity to expand your skill set, take search to the next level and discover platforms that enable you to purchase media holistically. Allocate Spend Across Media Channels – To maximize overall digital marketing performance, it’s critical to understand how social, display, email, affiliate, paid search marketing and organic search impact each phase of the customer purchase decision process. It’s time to shift your focus from last click to conversion. Learn From Your Display Colleagues – Search and display are more similar than ever, thanks to the rise of demand-side platforms, real-time bidding and audience targeting for display. It’s expected that search and display will soon be integrated into biddable media teams that collaborate to maximize ROI. Make sure you’re involved in this evolution. Welcome Innovation – While it’s wise to stay focused on your core competencies, 2011 is about embracing innovation and discovering new technologies that can help you maximize all of your efforts. Charlie Ellis is the SEO strategist at MDG Advertising. MDG Advertising, a full-service Florida advertising agency, with offices in Boca Raton and New York, NY, specializes in developing targeted,SEO marketing solutions, exceptional creative executions and solid branding and media buying strategies that give clients a competitive advantage.